This vehicle is equipped with: GVWR: 4,600 lbs Payload Package, 16" x 7" 5-Spoke Cast Aluminum Wheels, 3.51 Axle Ratio, 4 Speakers, ABS brakes, Air Conditioning, AM/FM radio, AM/FM Single CD/MP3 Capable, Auto-dimming Rear-View mirror, Brake assist, Bumpers: body-color, CD player, Compass, Delay-off headlights, Driver door bin, Driver vanity mirror, Dual front impact airbags, Dual front side impact airbags, Electronic Stability Control, Four wheel independent suspension, Front anti-roll bar, Front Bucket Seats, Front Center Armrest, Front fog lights, Front reading lights, Fully automatic headlights, Illuminated entry, Leather steering wheel, Low tire pressure warning, MP3 decoder, Occupant sensing airbag, Outside temperature display, Overhead airbag, Overhead console, Panic alarm, Passenger door bin, Passenger vanity mirror, Power door mirrors, Power driver seat, Power steering, Power windows, Premium Cloth Buckets w/60/40 Split Rear Seat, Radio data system, Rear anti-roll bar, Rear window defroster, Rear window wiper, Remote keyless entry, Roof rack: rails only, SIRIUS Satellite Radio, Speed control, Speed-sensing steering, Split folding rear seat, Steering wheel mounted audio controls, Tachometer, Tilt steering wheel, Traction control, Trip computer, and Variably intermittent wipers. Priced below KBB Fair Purchase Price! 20/26 City/Highway MPG DON'T WAIT. CALL BOB MOORE INFINITI TODAY! 1 OWNER, ACCIDENT FREE ON CARFAX, ELECTRONIC CRUISE CONTROL. This vehicle is equipped with: Solid Smooth Ride Suspension Package, 17" x 7.5" 6-Lug Chrome-Styled Steel Wheels, 3.23 Axle Ratio, 6 Speakers, ABS brakes, Air Conditioning, AM/FM radio, Auto-dimming Rear-View mirror, Black Leather-Wrapped Steering Wheel Rim, Body-Colored Bodyside Moldings w/Chrome Insert, Bodyside moldings, Bumpers: chrome, CD player, Color-Keyed Carpeted Floor Covering, Color-Keyed Surround Grille, Compass, Custom Cloth Seat Trim, Delay-off headlights, Driver door bin, Dual front impact airbags, Electric Rear-Window Defogger, Electrochromic Inside Rear-View Mirror, Electronic Cruise Control w/Set & Resume Speed, ETR AM/FM Stereo w/CD Player/Seek & Scan, Front 40/20/40 Split-Bench Seat, Front anti-roll bar, Front Center Armrest w/Storage, Front dual zone A/C, Front reading lights, Front wheel independent suspension, Fully automatic headlights, Heated door mirrors, Illuminated entry, Leather steering wheel, Mini Overhead Console w/Map Lights, Occupant sensing airbag, Outside temperature display, Overhead console, Panic alarm, Passenger door bin, Passenger vanity mirror, Power Door Locks, Power door mirrors, Power Heated Black Outside Rear-View Mirrors, Power steering, Power windows, Power Windows w/Driver & Passenger Express-Down, Radio data system, Rear Chrome Step Bumper w/Pad, Rear step bumper, Rear window defroster, Remote Keyless Entry, Remote keyless entry, Security system, Speed control, Tachometer, Tilt steering wheel, Variably intermittent wipers, and Voltmeter. Odometer is 79440 miles below market average! DON'T WAIT. CALL BOB MOORE INFINITI TODAY! SIRIUS/XM SAT. RADIO, FOLDING REAR SEAT, REMOTE KEYLESS ENTRY, "ALIEN GREEN" EXTERIOR PAINT, TINTED WINDOWS, STEERING WHEEL MOUNTED PHONE CONTROLS. This vehicle is equipped with: 4-Wheel Disc Brakes, 6 Speakers, ABS brakes, Air Conditioning, Alloy wheels, AM/FM radio: SiriusXM, Brake assist, Bumpers: body-color, Driver door bin, Driver vanity mirror, Dual front impact airbags, Dual front side impact airbags, Electronic Stability Control, Front anti-roll bar, Front Bucket Seats, Front Center Armrest, Front reading lights, Front wheel independent suspension, Heated door mirrors, Illuminated entry, Low tire pressure warning, MP3 decoder, Occupant sensing airbag, Outside temperature display, Overhead airbag, Overhead console, Panic alarm, Passenger door bin, Passenger vanity mirror, Power door mirrors, Power steering, Power windows, Radio: AM/FM/MP3 Audio System, Rear window defroster, Rear window wiper, Remote keyless entry, Speed control, Speed-sensing steering, Split folding rear seat, Steering wheel mounted audio controls, Tachometer, Telescoping steering wheel, Tilt steering wheel, Traction control, Trip computer, and Variably intermittent wipers. Priced below KBB Fair Purchase Price! DON'T WAIT. CALL BOB MOORE INFINITI TODAY! LOADED W/, AWD/4WD, SUNROOF, HEATED LEATHER SEATS, BACK UP CAMERA, POWER SEATS, MEMORY SEATS, SIRIUS/XM SAT. RADIO. This vehicle is equipped with: 11 Speakers, 18" Aluminum Alloy Wheels, 4-Wheel Disc Brakes, 5.173 Axle Ratio, ABS brakes, Air Conditioning, AM/FM radio: SiriusXM, Anti-whiplash front head restraints, Auto-dimming Rear-View mirror, Automatic temperature control, Brake assist, Bumpers: body-color, CD player, Compass, Delay-off headlights, Driver door bin, Driver vanity mirror, Dual front impact airbags, Dual front side impact airbags, Electronic Stability Control, Four wheel independent suspension, Front anti-roll bar, Front Bucket Seats, Front Center Armrest w/Storage, Front dual zone A/C, Front fog lights, Front reading lights, Fully automatic headlights, Garage door transmitter: HomeLink, Heated door mirrors, Heated Front Bucket Seats, Heated front seats, Heated steering wheel, Illuminated entry, Leather Appointed Seat Trim, Leather Shift Knob, Low tire pressure warning, Memory seat, MP3 decoder, Occupant sensing airbag, Outside temperature display, Overhead airbag, Overhead console, Panic alarm, Passenger door bin, Passenger vanity mirror, Power door mirrors, Power driver seat, Power moonroof, Power passenger seat, Power steering, Power windows, Radio data system, Radio: AM/FM/CD w/Bose Audio System, Rain sensing wipers, Rear anti-roll bar, Rear reading lights, Rear seat center armrest, Rear window defroster, Rear window wiper, Remote keyless entry, Roof rack: rails only, Security system, Speed control, Speed-sensing steering, Speed-Sensitive Wipers, Split folding rear seat, Steering wheel mounted audio controls, Tachometer, Telescoping steering wheel, Tilt steering wheel, Traction control, Trip computer, and Variably intermittent wipers. Priced below KBB Fair Purchase Price! DON'T WAIT. 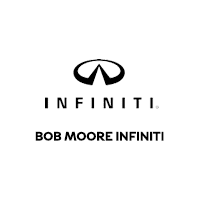 CALL BOB MOORE INFINITI TODAY!